We are proud to announce that Mayborn Group – owners of the popular baby brands Tommee Tippee and The Gro Company – has appointed Ben Johnson Interiors to carry out the design and fit-out of their new global headquarters. 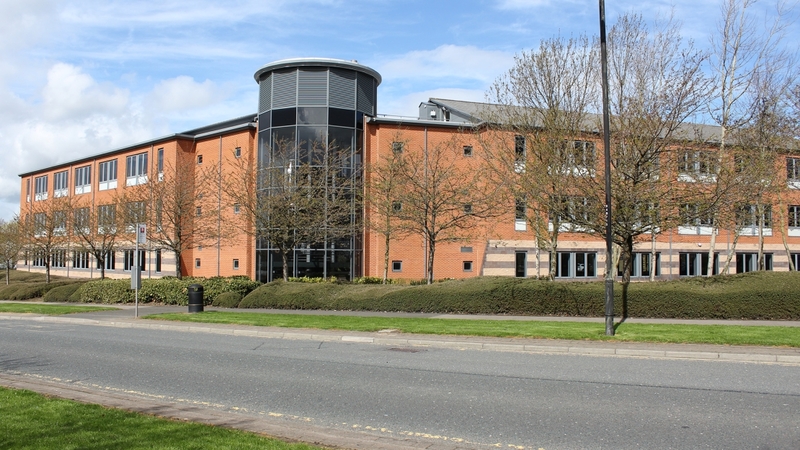 The future Mayborn HQ will be based at Balliol Business Park, North Tyneside. 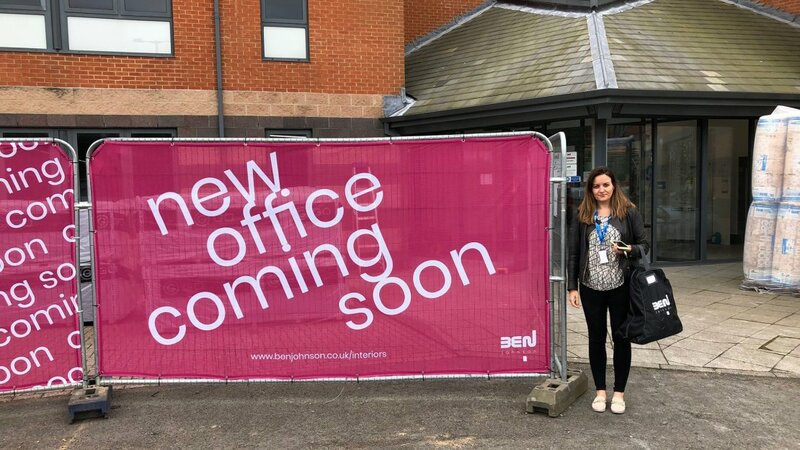 At 30,000 sqft, the new premises will allow the company to increase its workforce and embrace new working practices, the facility will be completed in September 2018. “Ben Johnson are the ideal partner given their design and build experience. They’ve worked closely with us to understand our brand, vision and expectations so we’re delighted to have their team on board in creating our new home.” Said Karen Crosby, Mayborn Project Manager. Watch out for the full project case study once the project is completed in September 2018. Rachel McDermott, Business Development Manager @ Ben Johnson Interiors outside the Mayborn building under development.